If you misplaced removable parts, order replacements online at the Xbox Online Service Center. Check out licensed third-party options. If your removable parts don't function properly, you'll need to replace your controller. Before you request a replacement controller, check the troubleshooting topics at All about your Xbox Elite Wireless Controller. Many issues that affect your Xbox Elite Wireless Controller can be resolved with the help of these topics. Important If you do need to send your Xbox Elite Wireless Controller to our service center, do not send removable parts with your controller. They will not be returned to you. Keep all the removable D-pads, paddles, and thumb sticks. You'll receive a replacement controller without these parts, so you'll need to use those original parts with the replacement controller. 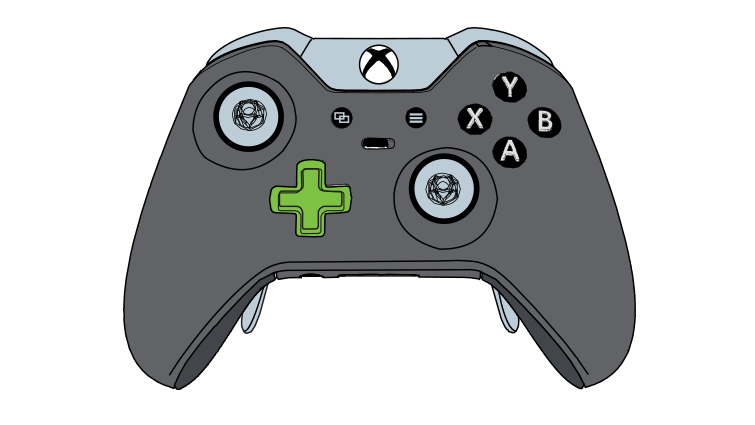 Visit the Xbox Online Service Center to request an Xbox Elite Wireless Controller replacement. ¿Quieres contactar con el Soporte técnico con referencia al problema "Servicing your Xbox Elite Wireless Controller" acerca del que estabas leyendo o con referencia a otro problema?